A stunning piece for the grand unveiling, the Rosella chapel veil with blusher layer sets the tone for an ultra modern bridal look. 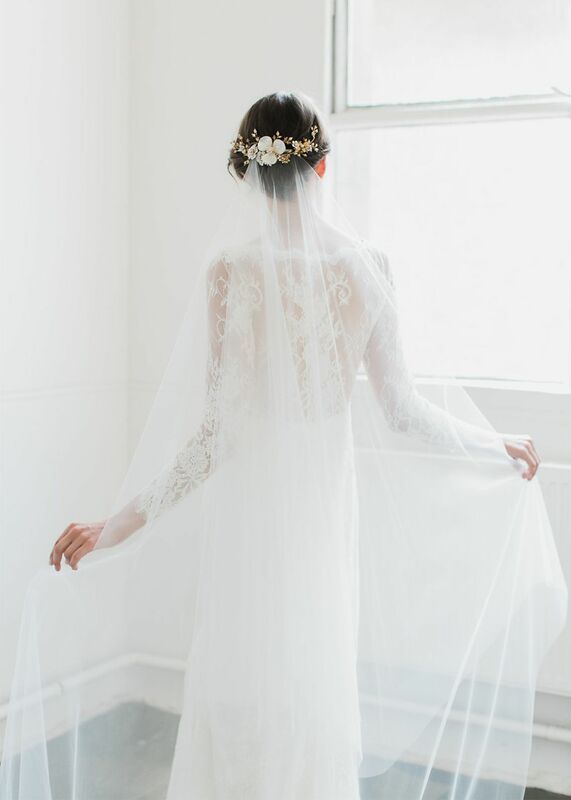 Our most coveted veil that offers a sleek and streamlined silhouette, the Rosella veil is an effortless compromise between the beauty and glamour of a long veil without the puffiness. The dramatic long blusher layer adds the perfect amount of drama which can be pulled back to create a beautiful cascade effect from the sides. The soft and lightweight tulle is just enough to accentuate your dress without overpowering your bridal look. 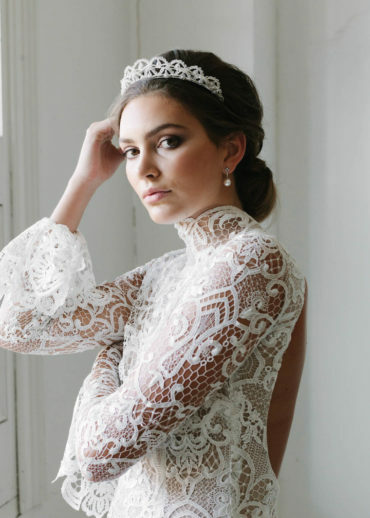 The perfect piece for modern and classic brides alike. The Rosella wedding veil is ready to ship. Please allow 5-7 business days for production plus delivery times. Rush orders available for a fee. The Rosella chapel length veil is one of our most popular veils. We love it for its dramatic appeal and the way it floats behind you as you walk down the aisle. It channels modern day luxe and suits a wide range of dresses including illusion necklines, low backs, long sleeves, cap sleeves, sweetheart and strapless bodices, and structured and unstructured silhouettes. Our Rosella veil falls to 230cm from the comb to the end of the train. It can be customised to any length to suit you and the length of your train. If you are unsure which length will best suit your wedding dress, please contact us with photos of your wedding dress and height and we can get back to you with a recommendation. The Rosella is handcrafted from a lightweight bridal illusion tulle. 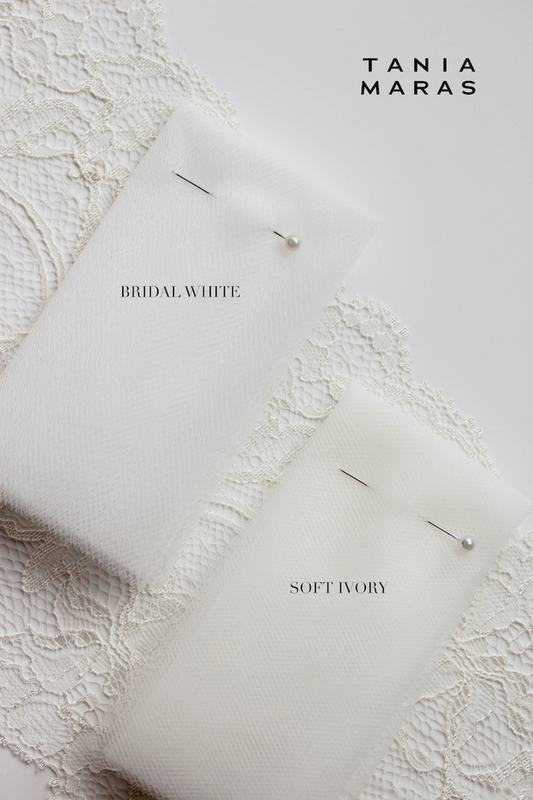 It’s available in bridal white or soft ivory tones. We like to aim for a colour match or a shade lighter than your wedding dress.